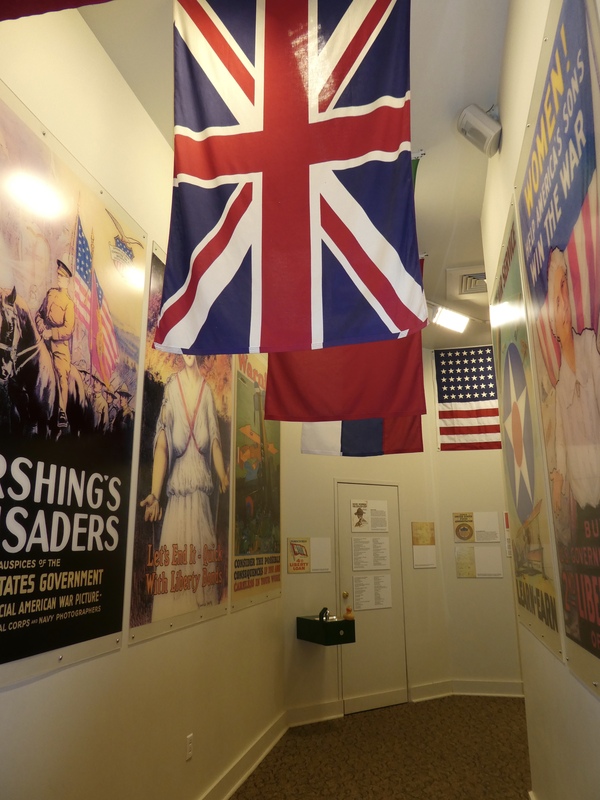 The United States was attacked by Pancho Villa and soldiers from Mexico on March 9, 1916. 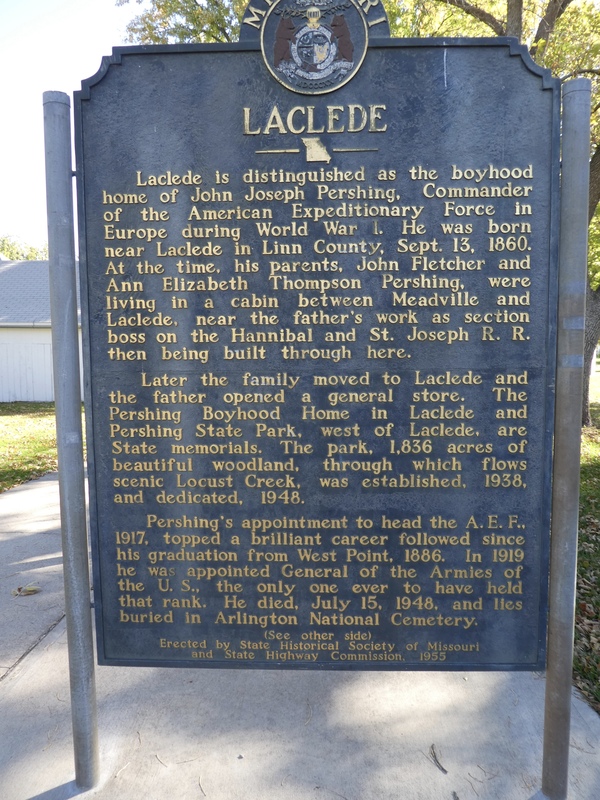 That was the last time a foreign military attacked a state in the United States. In case you are wondering, Hawaii was not yet a state December 7, 1941 when Pearl Harbor was attacked. Also, September 11, 2001 the attack on New York and the Pentagon in Washington DC, was done by hijackers using US commercial airplanes. 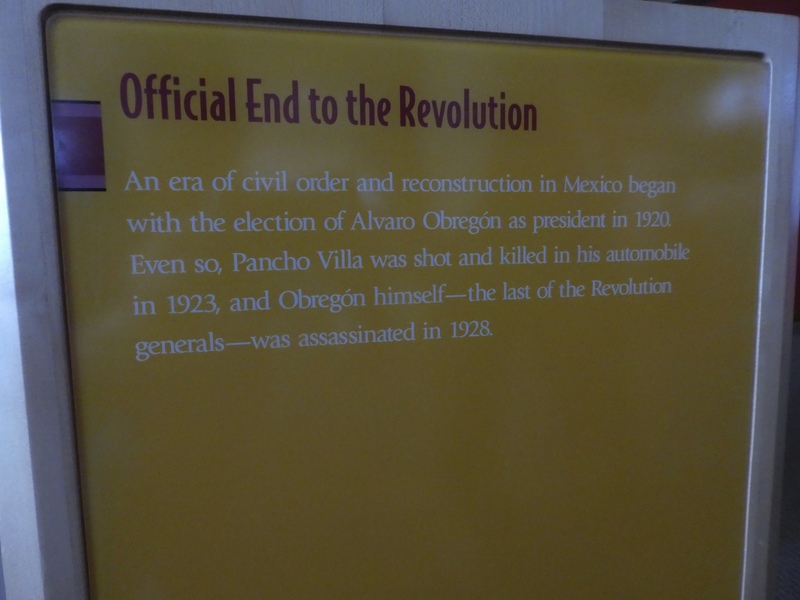 But back to Pancho Villa and his attack on Columbus, New Mexico. 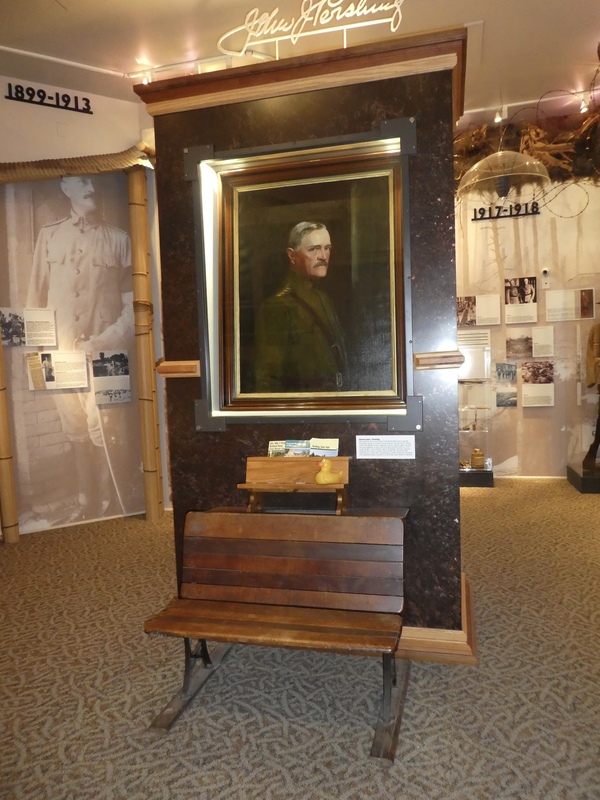 In Columbus, we visited the Pancho Villa State Park. 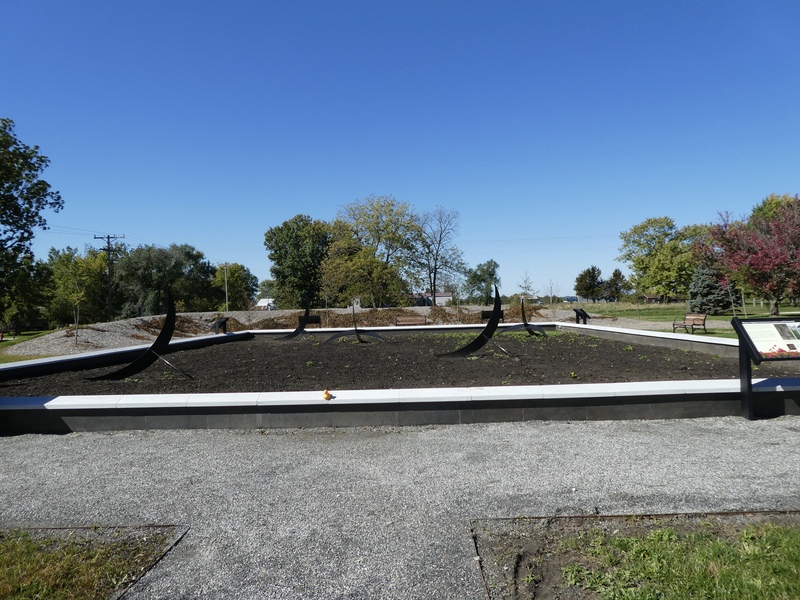 This park was previously a US military camp, Camp Furlong. 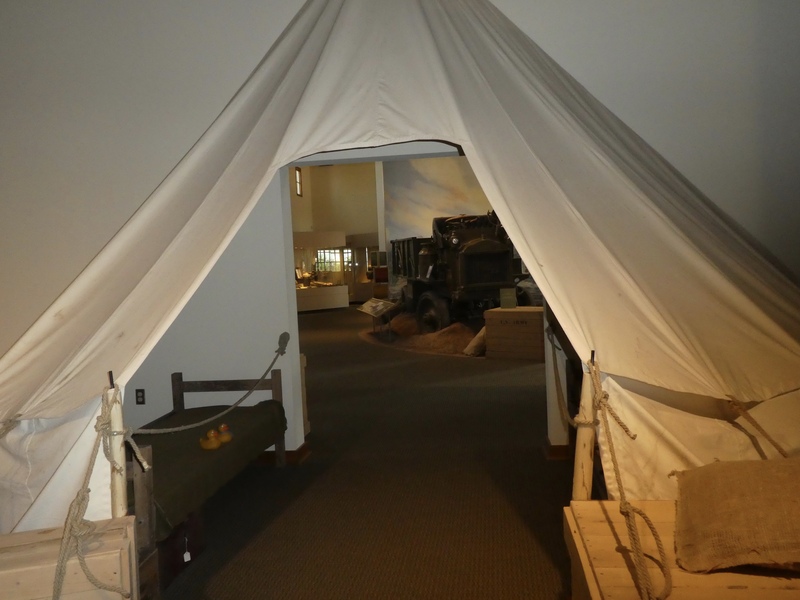 Now it is home to a museum, with memorabilia from the very brief attack, a picnic area and a camp ground. Here is Cootes Hill, a look out point from the military days. 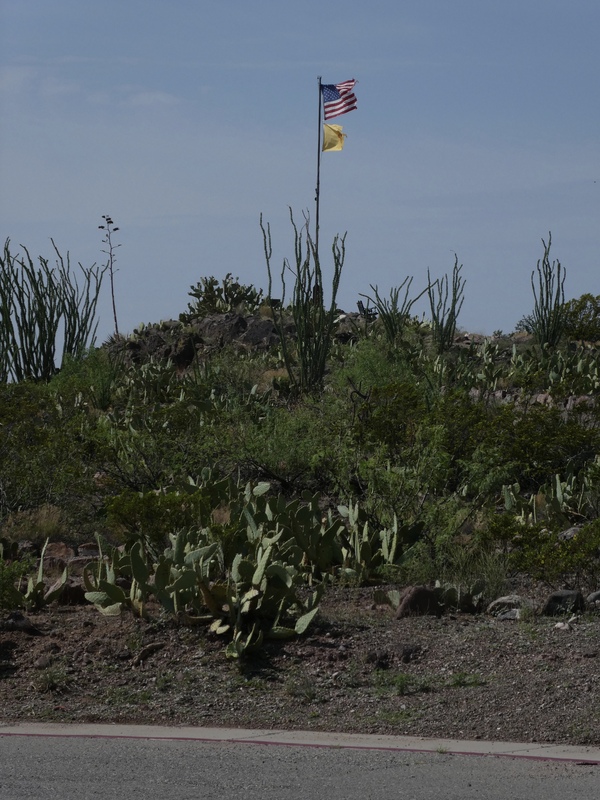 You can see the cacti and flags of the United States and the State of New Mexico. 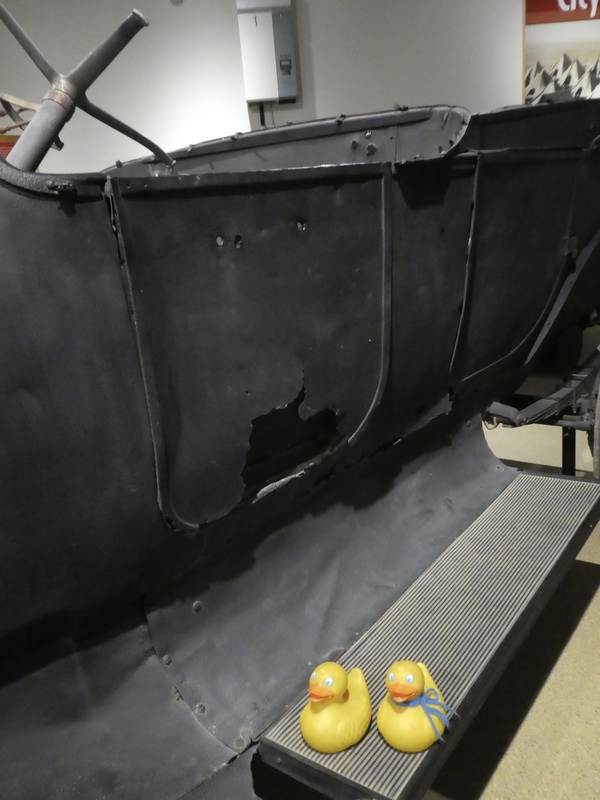 First let’s visit the museum. We like the Mexican architecture and the old wagon here. 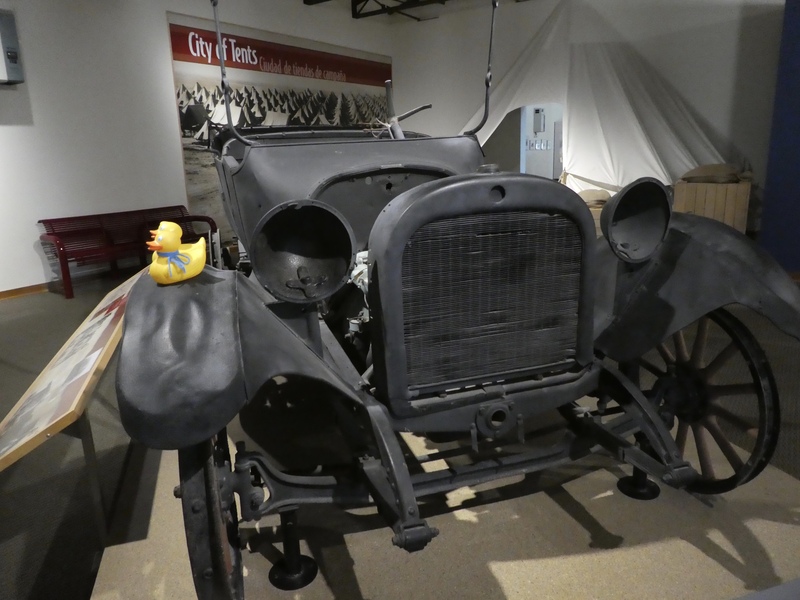 During the early morning attack, a young family escaped to Deming, about 25 miles north, in a 1915 Dodge Touring Car. 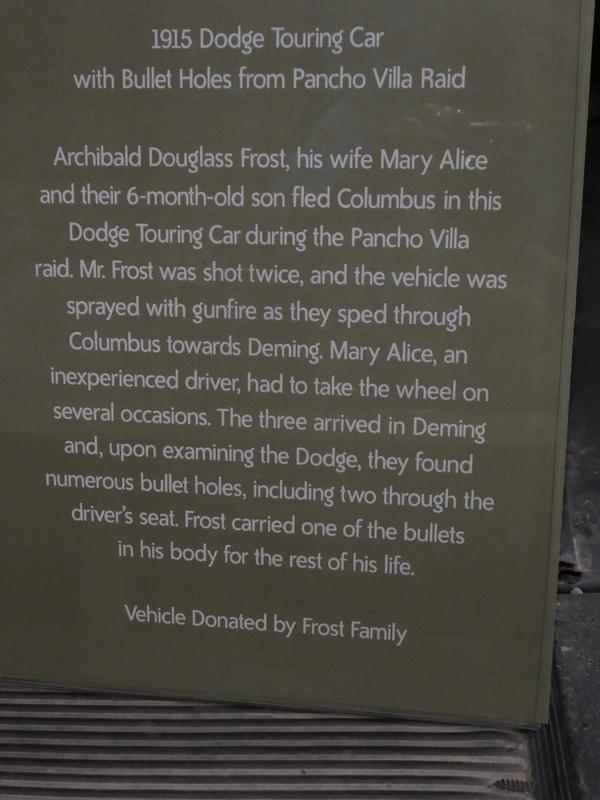 All three members of the family survived, but the man did carry a bullet in him for the rest of his life. The car and bullet holes. A close up photo of the driver’s door. We are certainly happy all survived. But let’s talk about the speed of this attack. On March 9, 1916, at 2:00 a.m., Pancho Villa crosses the US Mexican border, 3 miles south of Columbus. 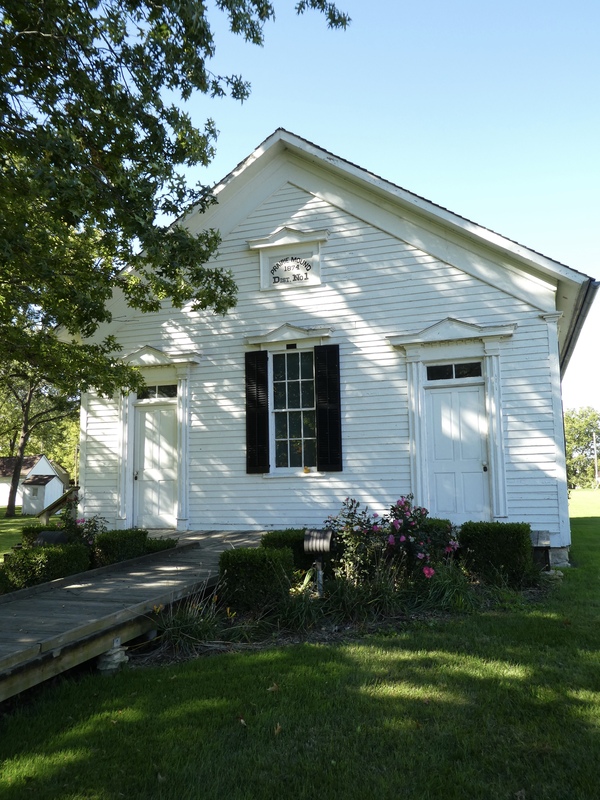 At 4:11 a.m. there are simultaneous attacks in the center of town and at Camp Furlong. By 7:30 the last of the Villistas retreat into Mexico. This attack lasted a little more than 3 hours, but there were casualties. Ten townspeople from Columbus, New Mexico died. 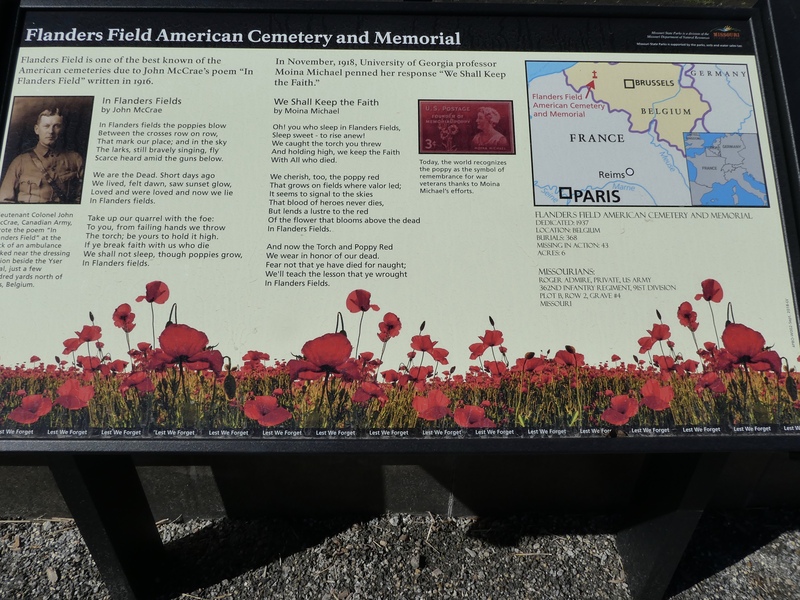 Eight American soldiers died. Eight other Americans were wounded. Estimates are that 90 Villistas were killed and a small number were taken prisoner. 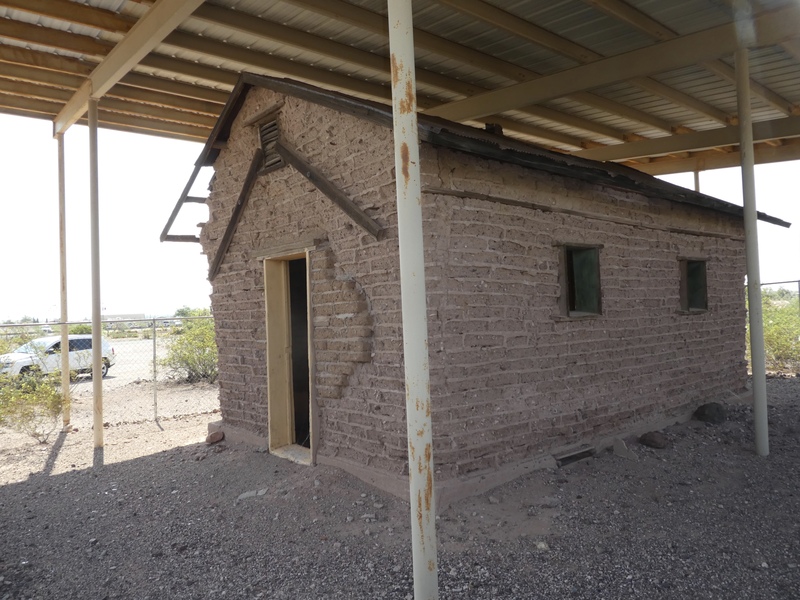 After a trial, some prisoners were hanged, some jailed and returned to Mexico in 1921. 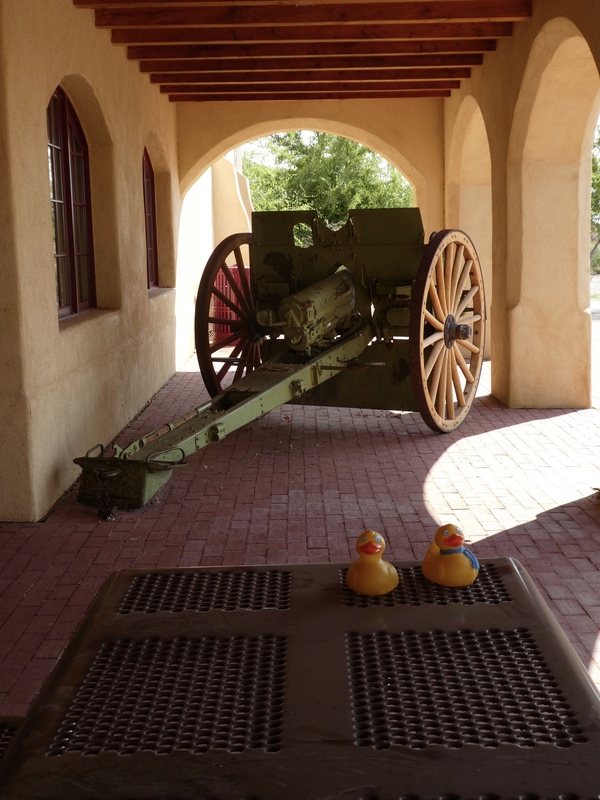 We ducks think that was a lot of deaths in a three hour attack. But, let’s see what else is in the museum. 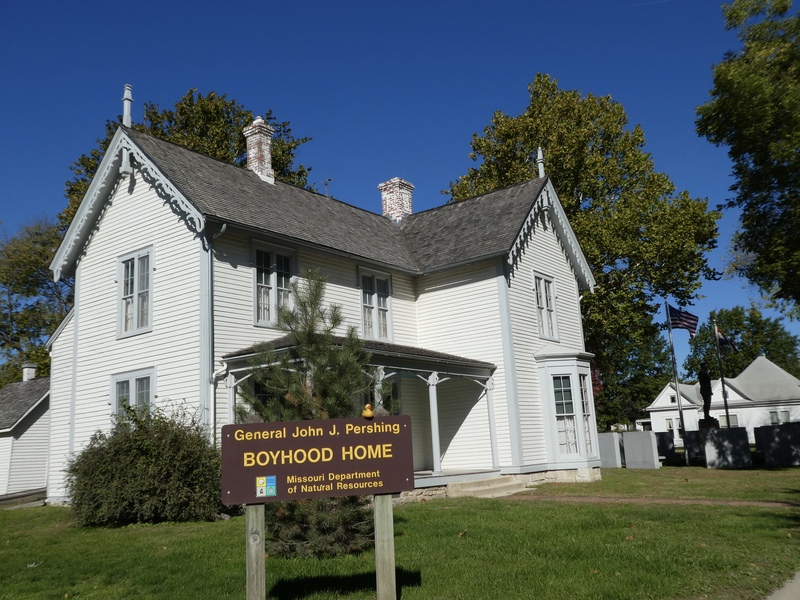 Soon after the attack, General Pershing was sent to Columbus and a tent city was soon built south of the railroad station and south of town. 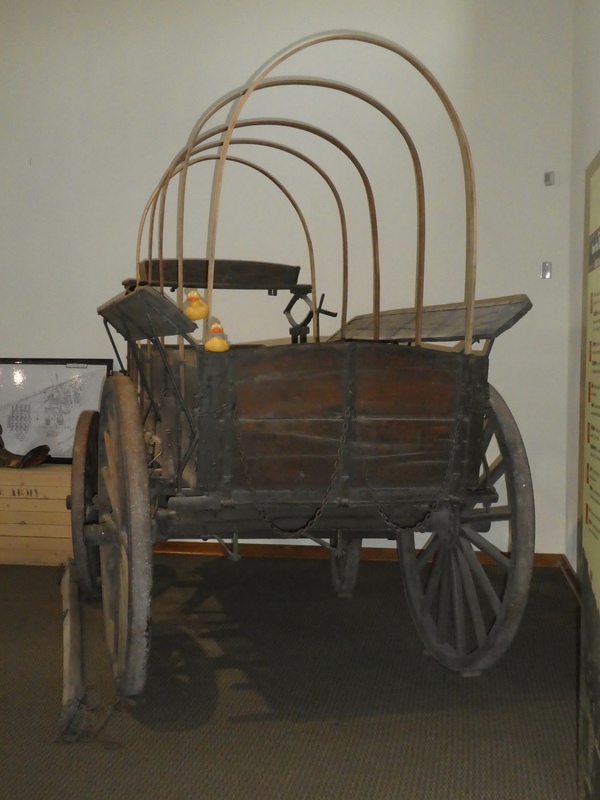 We thought this covered wagon, without the cover, was interesting. 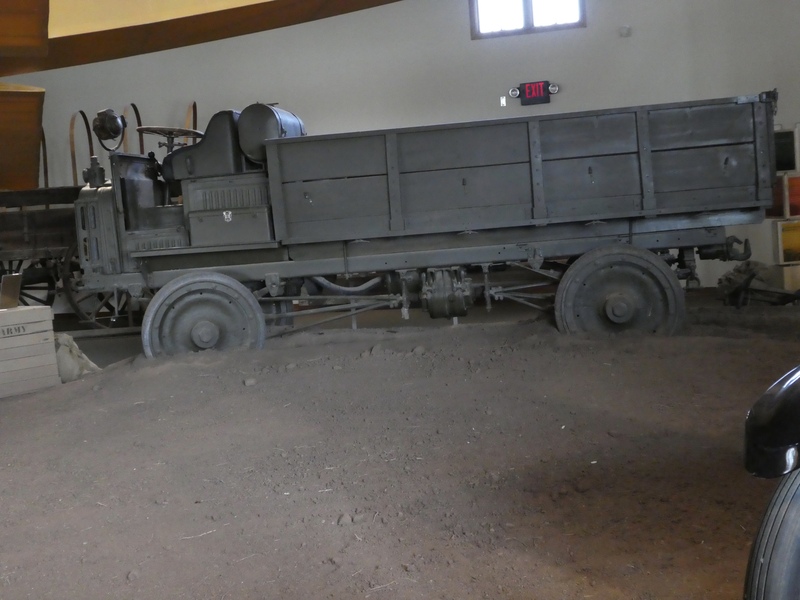 Large trucks were brought to Columbus. 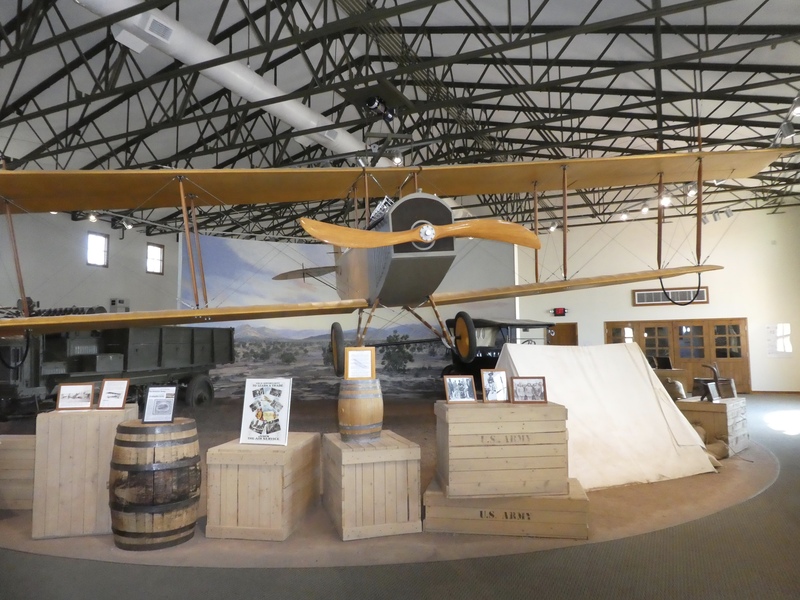 This is a replica of a 1916 JN-3 Airplane, provided by Roger Freeman of Vintage Aviation. 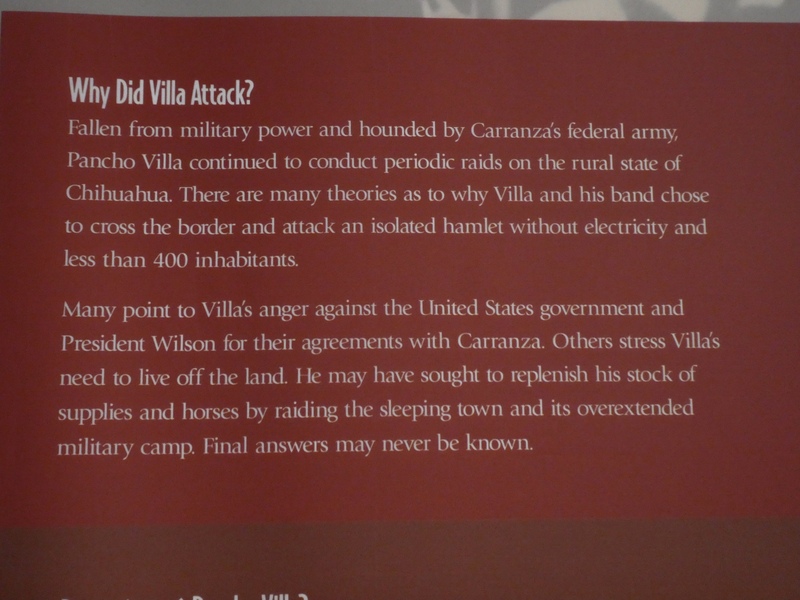 These were all interesting, but the question is still why did Pancho Villa attach the United States? And it is quite possible we will never really know the answer. 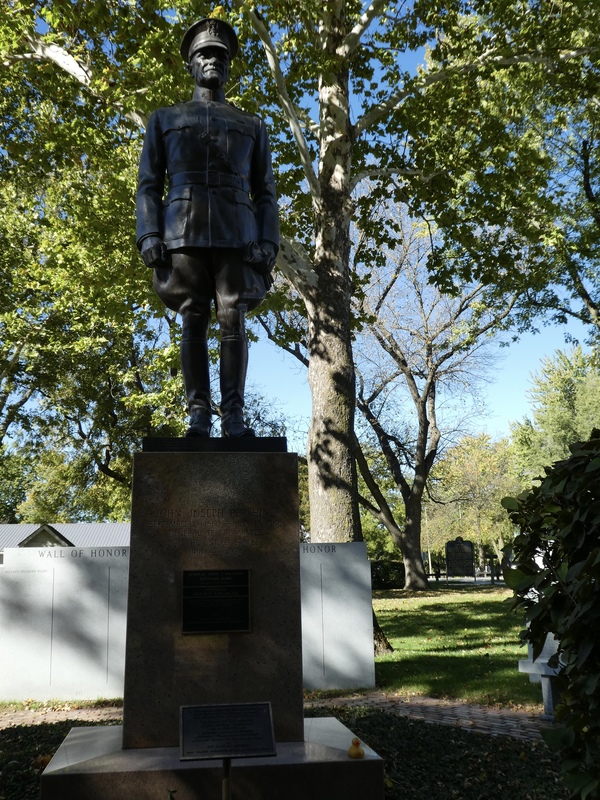 The US military spent time and money trying to get Pancho Villa, but he was never captured. So what happened in Mexico? 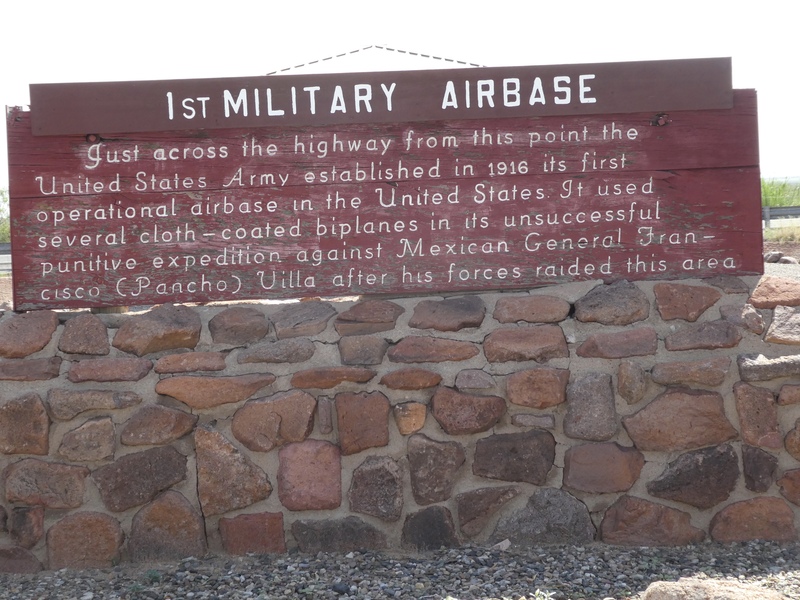 Across the street from Pancho Villa State Park is the first US Military Airbase in the US. 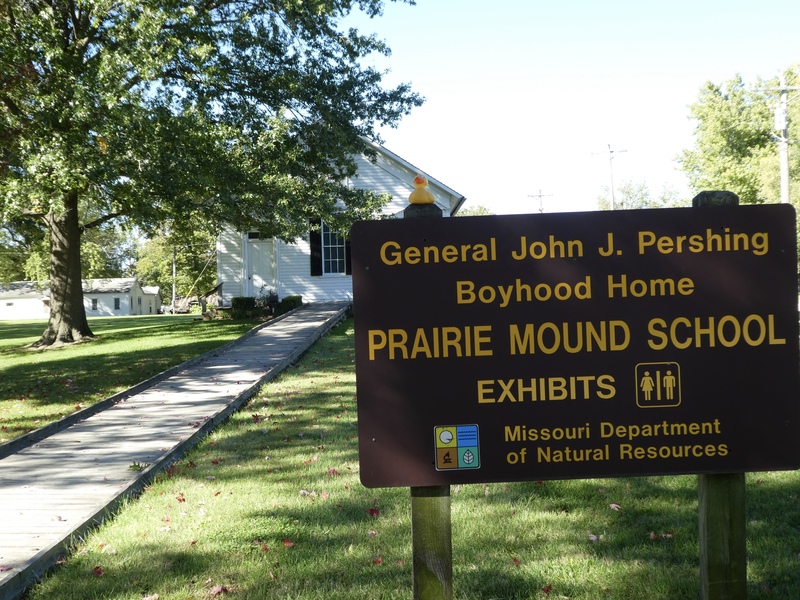 Also in the state park, we visited the headquarters building of Camp Furlong. 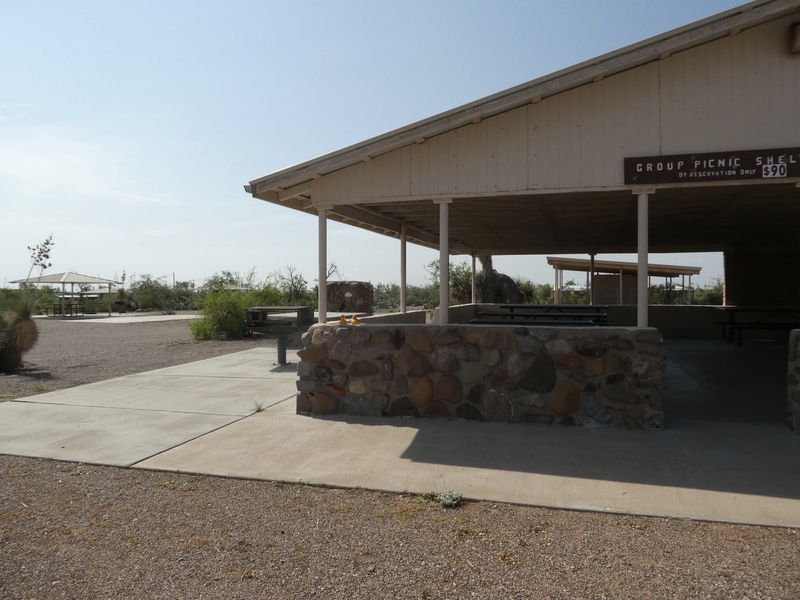 Now many people enjoy the New Mexico desert and this picnic area. There are sites for campers here. 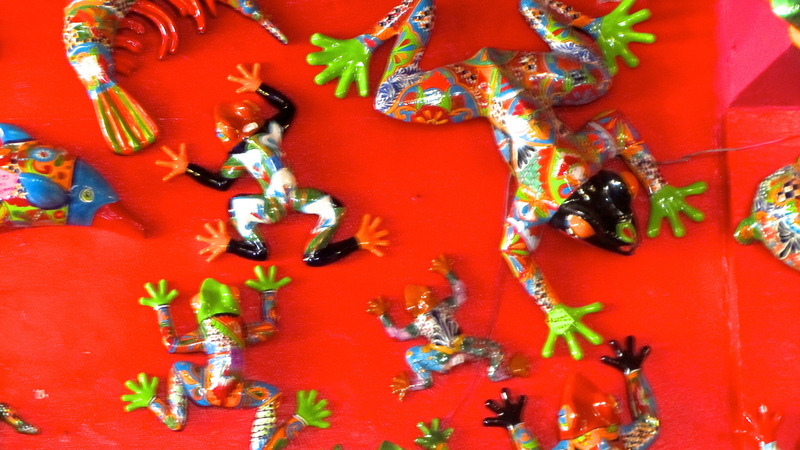 New Mexico is a popular destination for many Americans and Canadians escaping the colder winters in the north. 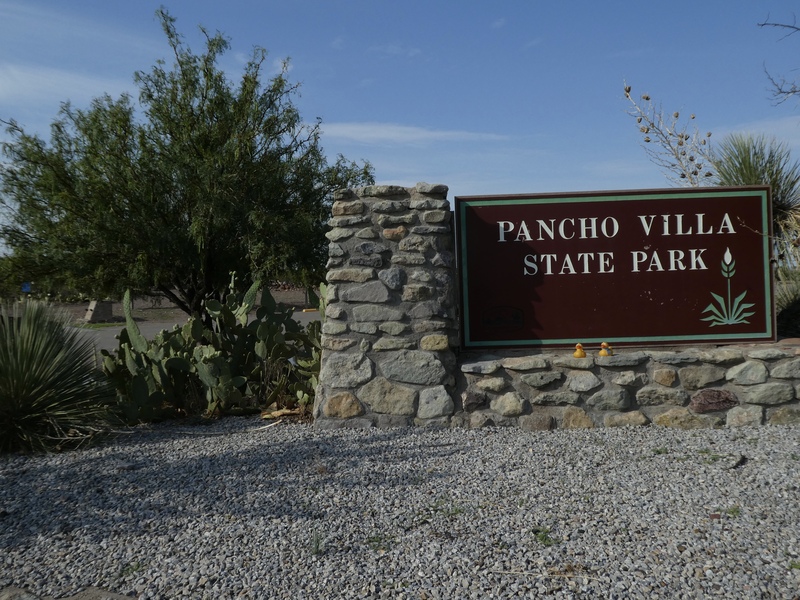 If you visit Columbus, we hope you take time to explore Pancho Villa State Park and the museum We think it is quite interesting. Mexico! I just got back from Mexico. Wow! 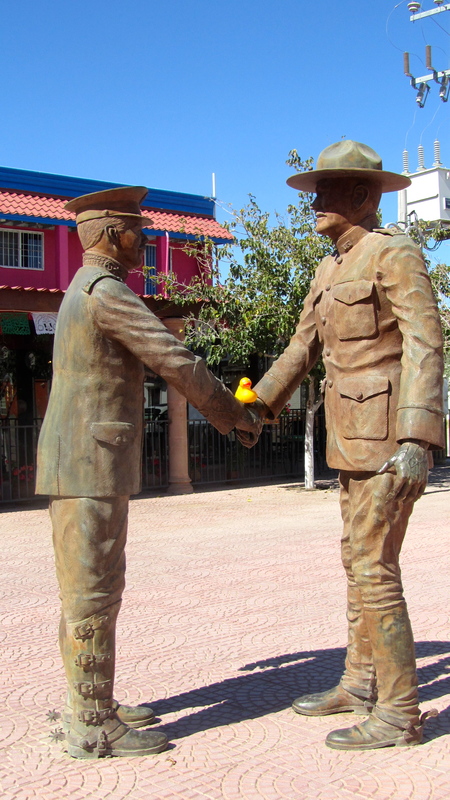 Zeb the duck is now an international traveler. 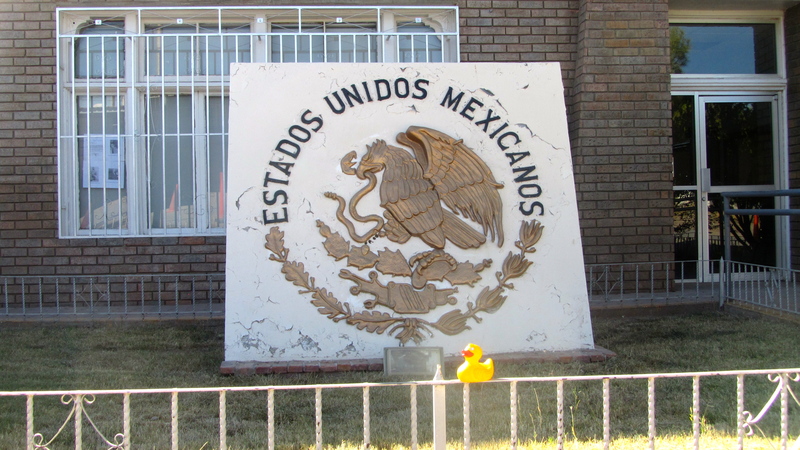 Zeb the Duck is in Mexico! We spent a few hours in Palomas, Mexico last weekend. Most of our purchases came from The Pink Store. Let me tell you about this store. 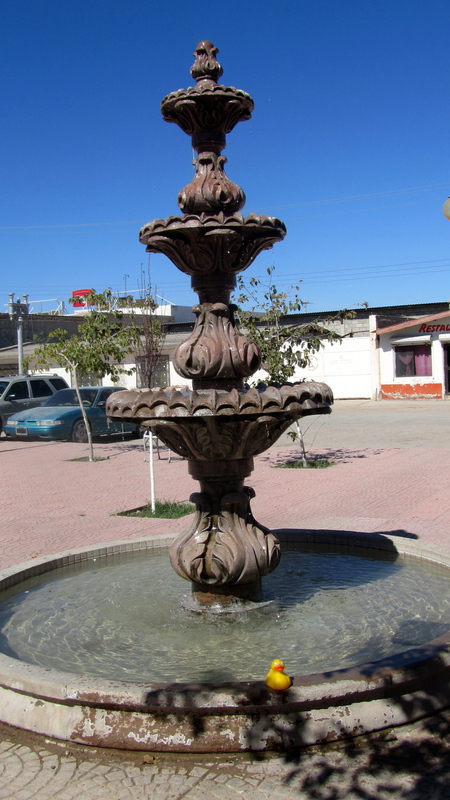 But first, Palomas, Mexico is a border town in the state of Chihuahua. It is across from Columbus, New Mexico, just south of Deming, New Mexico. We drove to the border, parked on the US side and walked into Mexico. So easy. The Pink Store was recommended to us, and this is why. The Pink Store is huge and has everything. 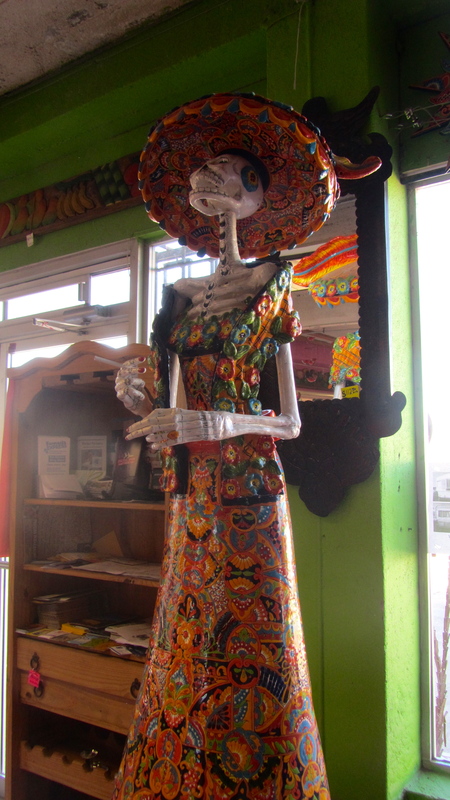 This skeleton lady was the first thing I saw. A bit of a shock to me. Mom said that Mexico’s Day of the Dead is Nov 1 and Nov 2. The spirits of the deceased return and much celebrating occurs. I saw lots of skeleton displays. I was amazed and loved it all. but many more are on shelves. 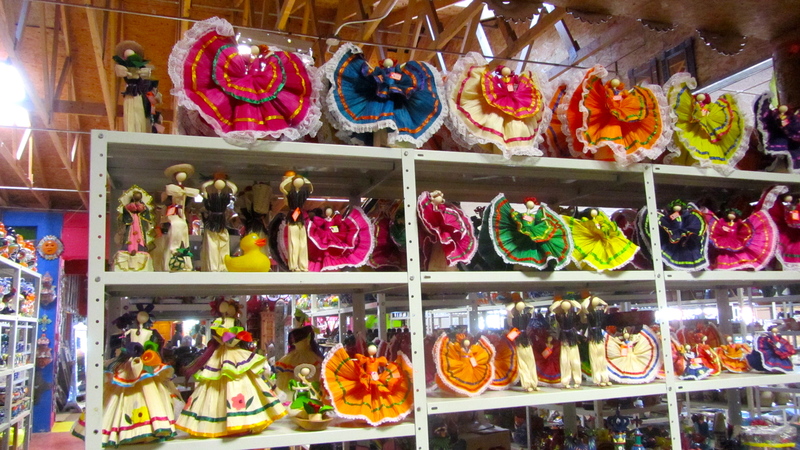 Some of my favorites are the dolls made from cornhusks. 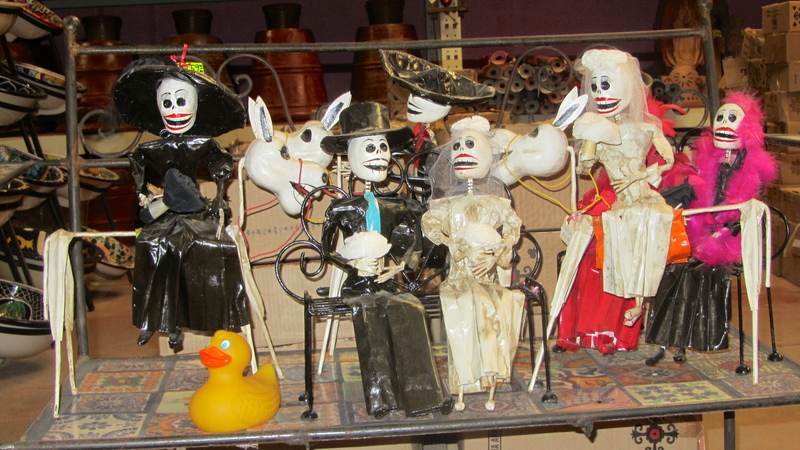 Perhaps a duck on the shelf enhances the display. 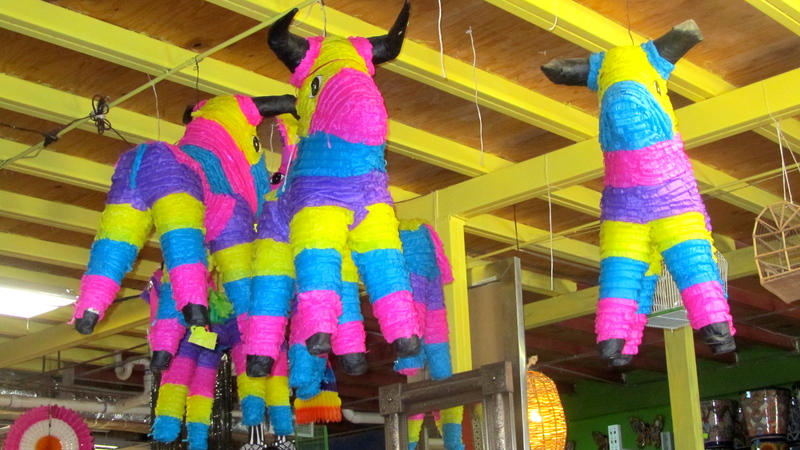 I wanted to play with these piñatas. Too bad I am not human. We ate lunch at the Pancho Villa Restaurant in The Pink Store. Excellent food and service. So many choices. A man played music while we ate. He was nice, too. Near the restaurant was a large bar. Looking out the window at the The Pink Store Plaza I saw General Pershing and Pancho Villa shaking hands. I joined them in the handshake. In the plaza this wooden door caught my attention. 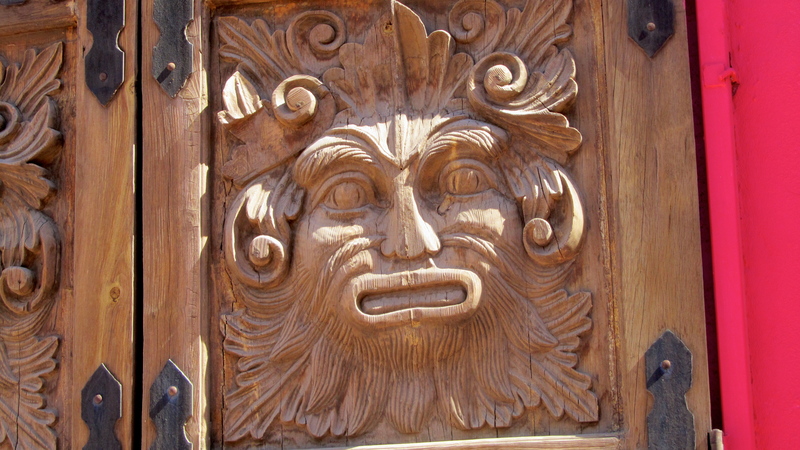 The carving on this door was magnificent. 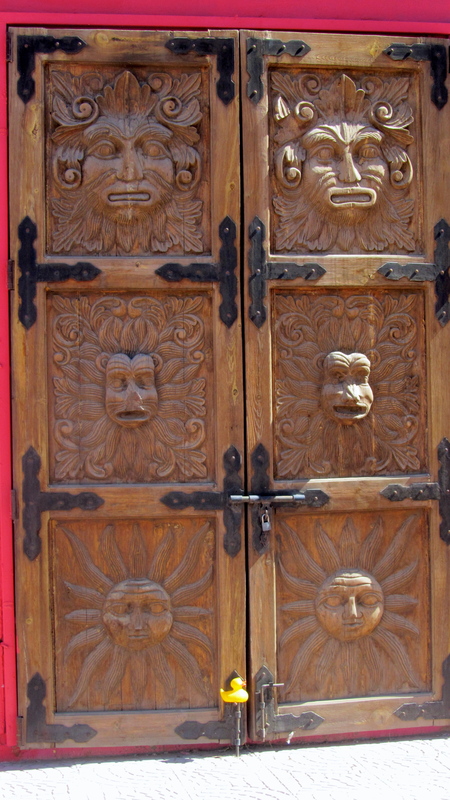 Took lots of talent and time to carve this door. This is just one section of the door. WOW! Also love the peaceful feeling of a fountain. I could have stayed all day at The Pink Store, discovering and shopping. Mom bought vanilla, Kahlua and some other souvenirs. 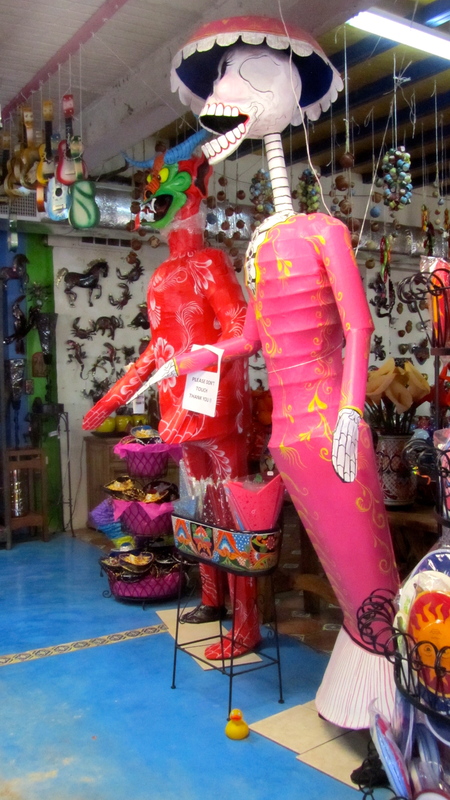 Look at this site www.Palomasmexico.com to see more photos of the Pink Store. I will tell you more about Palomas soon.